According to Yuka Kato at Fixr, the cost to have a professional remove a concrete slab varies based on the size and materials it contains. “It’s important to keep in mind that prices can vary tremendously depending on whether or not that concrete has been reinforced. If not reinforced, expect to pay between $300 and $500. If it is reinforced, expect to pay between $500 and $799,” said Kato of a 12-by-14 foot concrete slab that is approximately 4 inches thick. 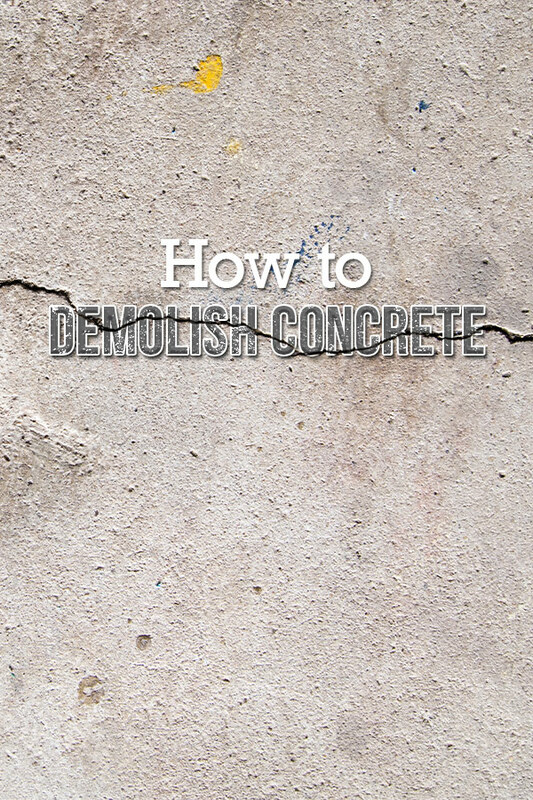 You can save up to $799 by removing the slab yourself with this step-by-step guide for concrete removal. 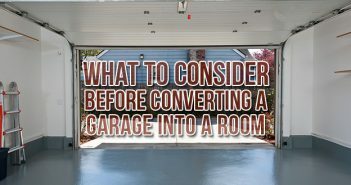 Is DIY Concrete Removal Right for You? Is your slab less than 4 inches thick? If yes, you can remove it with these instructions. Anything more than 4 inches will require power tools and some experience. Is your concrete reinforced? While some types of reinforcement can be handled by bolt cutters, anything thicker than wire mesh would require an electric saw. You can find out what is in your concrete by breaking off an edge piece or expanding an existing crack. If your concrete contains rebar, consider hiring a professional. Are there utilities under your concrete? Call 8-1-1 to find out where your utilities are located. If there are pipes under your concrete, hire a professional. 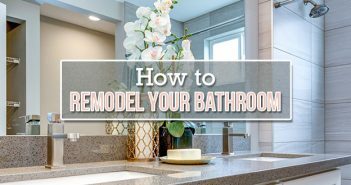 Once you’ve confirmed that removing your concrete the DIY way is doable for you, use the following steps to complete the project. 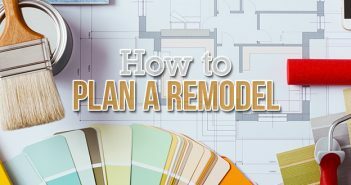 Before beginning, you will also need to make a plan for the removal of your concrete debris. Most curbside waste removal services will not accept concrete due to its weight. There are several options to consider when disposing of concrete, including renting a dumpster for concrete debris, recycling it and reusing it in DIY projects. The best way to speed up concrete removal is to create a void underneath the section of slab you’re working on. If you don’t do this, the dirt or sand under the slab will absorb the blows from the sledgehammer, making it harder to break up the concrete. You can create a void by digging under the slab. Once you’ve started some cracks, you can use the pry bar to lift smaller sections of the slab and create a void. To get started, use the shovel to dig 4 to 6 inches back from the edge of the slab and about 2 inches deep. Stick the end of the pry bar under a portion of the slab. Have one person use the pry bar as a lever to lift the chunk slightly while the other person uses the sledgehammer. Use a cinder block or rock as a fulcrum to create more leverage if necessary. Once you’ve created a void under the edges, you are ready to break up the concrete slab. Lay the plastic sheeting over the slab to prevent concrete from flying around. If you are close to a structure, consider covering any windows with plastic sheeting as well. Put on gloves, safety glasses, steel-toed boots and hearing protection. When you’re ready, aim your first hammer blows within 6 inches of an edge. If the slab doesn’t immediately crack, don’t hit the same spot a second time. Move a few inches in any direction and hit again. Lift with one hand close to the hammer head and the other close to the base. Raise the hammer as high as possible, but not over your head. Aim it and let it fall while sliding your top hand to the base of the hammer with your other hand. Don’t swing it. Let the hammer and gravity do all the work for you. Swinging has a potential to cause injury. Avoid placing hammer strikes too close together. When breaking up concrete, you want the pieces to be small enough to lift, but you don’t want to create gravel, which is hard to move with your hands. Work your way across the patio in a grid pattern, taking breaks after small sections to complete step three. 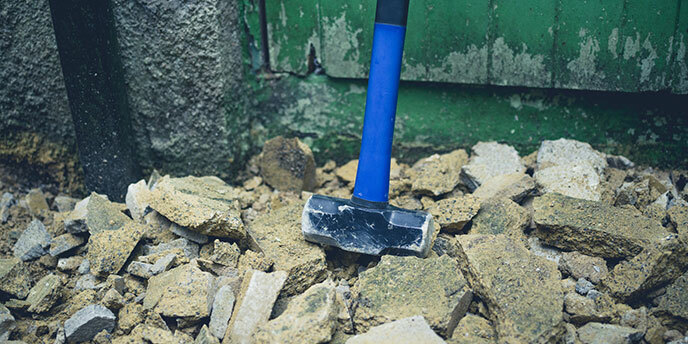 Concrete demolition tip: Using a sledgehammer and moving broken concrete are tough jobs. Take plenty of breaks and drink a lot of water when working on this project. Insert the mattock’s pick into the cracks to separate the chunks. If there is wire mesh in the concrete, use the bolt cutters to cut it. 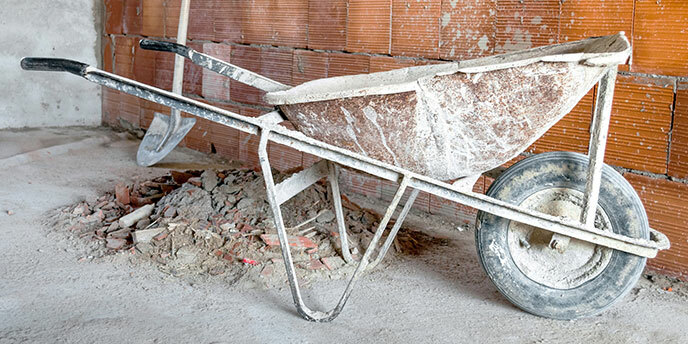 Lifting with your legs, load debris into your wheelbarrow, but do not overload it. Load the concrete into your dumpster rental or whatever you are using to dispose of the debris. As you get to the middle of the concrete block, continue to dig under the edges or use the pry bar to create a void and break apart the concrete using the sledgehammer. Repeat these steps until all the concrete is loose and movable. If you are planning to lay new concrete in this spot, make sure the area is level when you’re finished. Then, you’re done. Take some time to relax and give those concrete-moving muscles a break. Not Sure What to Do With Your Concrete? If you’re having a hard time making a cleanup plan for your DIY concrete demolition, check out our concrete disposal guide for a variety of options. For most projects, renting a 10 yard roll off dumpster is a simple, easy way to get rid of heavy debris.